Durable, sturdy, comfy, cup holder! My son loves his car seat. Especially the cup holder! It’s comfy, good material and the seat itself is very sturdy. We can move it from car to car with ease as it’s not too heavy. We’ve used it for about 2+ years now and not a thread out of place! Found it difficult to fit it tightly in my car. My 3yr old loves his new car seat. Bought around 3 months ago and he seems very comfortable. Plenty of support from his headrest and handy cup holder. I particularly like the fact the seatbelts move up with the headrest for ease! Best car seat weve had for this age range despite the difficulty getting it to sit tightly in our scenic. Great buy for first time mothers. The instructions are very easy to follow, and fix in. It is a lot better than I had expected for the price. The Material is great, and very long lasting. We bought this car seat when our daughter outgrew her Silvercross. At such a reasonable price I snapped it up, as I know it will last for a few years yet! Love that it’s value for money, and my daughter loves that she can see out of the window! Use this for my son. He seems comfortable in it and hasn't managed to get out yet only downfall for me is chest straps seem to get twisted a lot. Really simple to use, quick and hassle free! Just got this for my 3yr old. It was very simple to install in the car and is very secure. She seems very comfortable in it and is over the moon with the cup holder. My son is using this car seat at the moment. It doesn't look.the most comfortable but it does the job! Very easy to use and worth the money I paid for it. The loosening of the strap is quite tough at the moment. It might get better with more use. 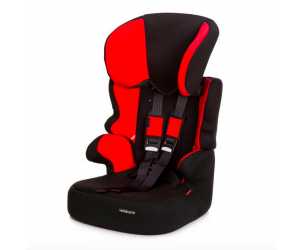 I wanted a lightweight car seat that could easily be transferred from one car to another after using isofix for the last 2 years and finding them very cumbersome. Have had various Joie products and always been happy with them so chose Joie again. We haven't used it much yet as we are still trying to get our moneys worth from our current seat. However so far it is very easy to use and is lightweight. Quick to install in to the car. Just needs a little time to ensure the seatbelt is tight. Looks great in our red car too! Love this car seat, my little girls is comfy in it and happily falls asleep, love the bright red colour and the cup holder easy to fasten into car. Bought this seat so both me and my husband had a car seat each. It is great value for money. The other seat we have my daughter has figured out the button to loosen the straps, on this seat the button is hidden so she hasn't figured it out yet. The cup holder is more useful then I first realised as my daughter tends to put toys or her dummy in it when her juice isn't. It is comfy for her to sleep in and she rarely wakes up grumpy when I have to get her out of the car. Would definitely recommend this car seat. Bought this for my daughter at the time she was 4 months from being 2. This seat lets her sit up straight. She likes being able to climb in and out herself. All my boy wanted is a seat with a cup holder so i bought this one as i liked the look of it, it is comfy for him and he loves it the only down fall is that the cup holder doesnt fold in like other seats. Really good product, easy to use and provides comfort for the little one. Value for money but the product is also safe and secure for the child so definitely fits purpose. Bought this car seat for my soon to be 2 year old, who we struggled to get into the car rear facing (full blown tantrums). It's excellent, I really couldn't fault it, it's very supportive & easy to fit. I love the fact I shouldn't have to buy another car seat for her as this goes up to age 12. Only down fall is the back doesn't tilt, meaning her head flops forward when she's sleeping, however this isn't a massive issue as we don't spend lots of time in the car anyway. Ideal for those on a budget, will definitely be getting this for my soon to be 1 year old once he's ready. 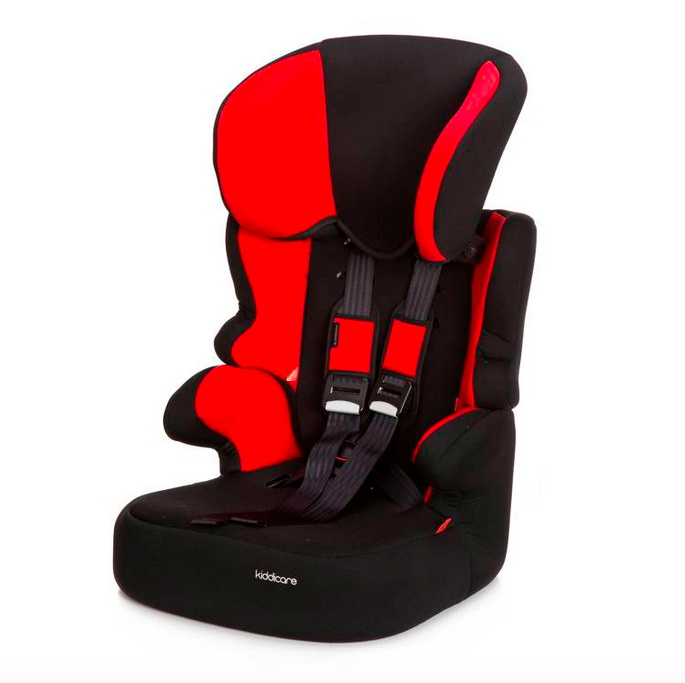 My child finds it very comfy on long journeys and it's a great fit for the Car, colour choice is great and feels very safe to use. My son has been in this for over a year now. He finds it comfortable & never moans. He has complained of other car seats being uncomfortable. The only pain for me was taking the harnes off to change it to a booster style seat. 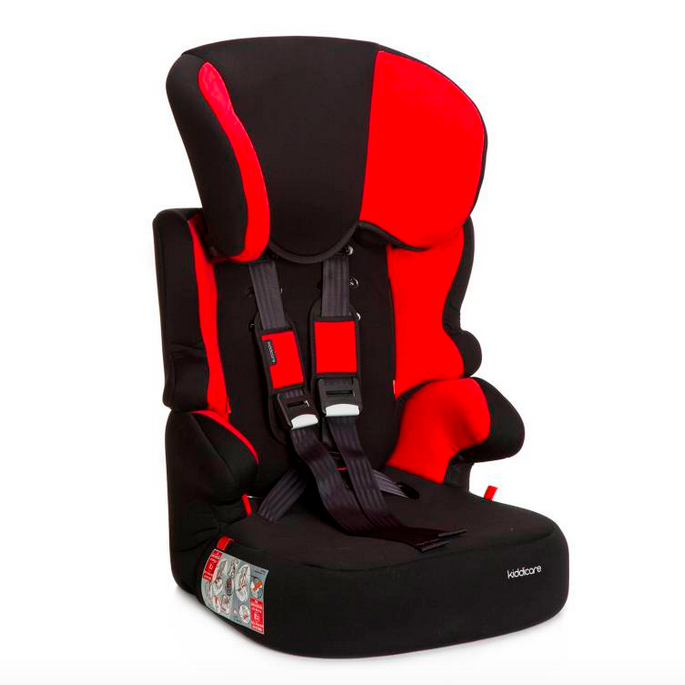 This car seat is great in that it's easy to assemble and install into the car. However, the straps are very stiff so it's difficult to get it tight enough to keep a toddler safe. I really like this seat as this is light weight and easy to assemble, something I can do my own without any help. I like its seat belts, very secure. Definitely recommend this one. I have 2 of these seats, they are so easy to use and can be moved between cars easily. My daughter can undo the buckle on the harness so watch out if you have a crafty kid! This seat offers really good value for money and my daughter is very comfortable in it. My lil boy was absolutely in love with his big boy car seat made him feel like a grown up he told mummy has a cup holder so he could put his juice in the child can see more which means child possibly may get less bored as can play I spy and they will see what going on around them rather than back of seat. 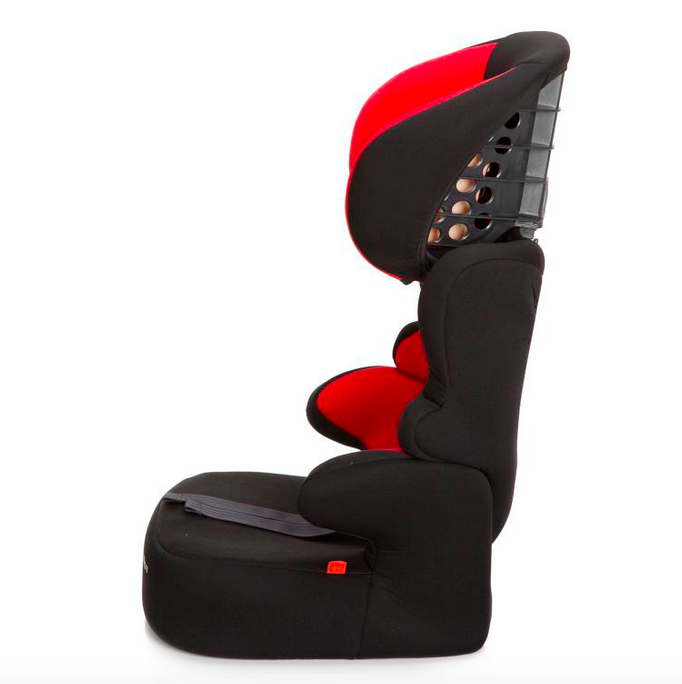 Once your baby has achieved the giddy weight of 9kg they are ready for the Joie Elevate 1/2/3 Car Seat. And once in, they can be sitting comfortable until they are 12 years of age. Yes, that's right, this car seat will last you 11 years because it will adapt and grow with your child as they do. It is forward facing into the world and sports the very best safety and security features for your child's head, body and hips, which are the most vulnerable areas.